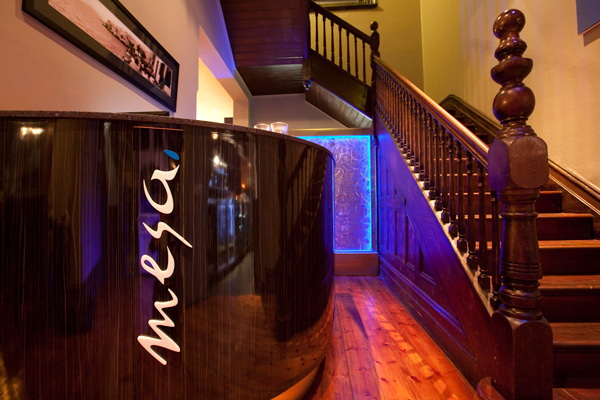 The word mesa in Greek means 'inside'. Greeks are known for their warm hospitality, love of food and culture, and welcoming nature. 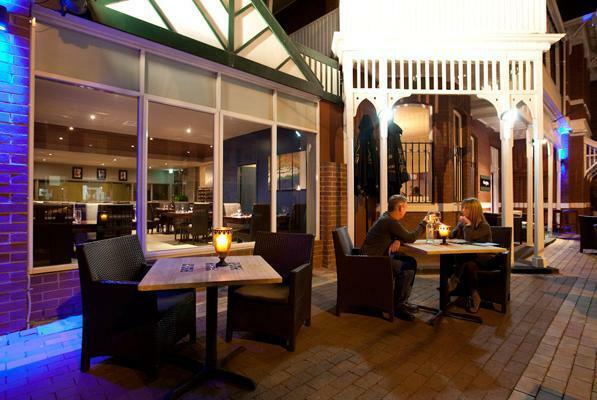 When I lived in Cairns I frequently dined at George's Greek Taverna. The food was truly authentic in style, taste, flavour and the atmosphere friendly. I heard that owner George Papagelou had opened a similar restaurant in Melbourne, and my mission was to one day go back and experience the same hospitality I had received in Cairns. Well, 14 years later, like a boomerang, I went back. The restaurant - Mesa Greek Cuisine in Melbourne. The location in Abbotsford is perfect. No need to worry about paying a fortune to park in the city, there's plenty of free street parking. The restaurant is housed in a stunning renovated Edwardian villa that's over 100 years old. With classic timber detailing, open fireplaces (in most dining areas), timber floorboards, exposed brick walls and large open windows. It had the warm feeling similar to walking into a home. I particularly like the splashes of white - Greeks include the colours white and blue as reflected on the country's flag. They're very passionate when it comes to their pride, heritage and history. I was very happy to see George after many years, who introduced me to maitre d' Kosta. He was friendly, attentive, and reassured me that if I left the ordering in his hands I would leave satisfied. Greeks love their food and the menu clearly reflects this. It's common in Greek culture to select a number of appetizers to share - mezethes, which aim to broaden the range of different taste sensations to prepare for the main meal. On this particular Friday lunchtime, I was ready to taste anything that Kosta was to dish out in front of me. I knew I was in good hands considering George's impeccable reputation for quality, taste and authenticity. I couldn't wait to sample similar delights I had 14 years earlier. You can't dine at a Greek restaurant without starting with delicious dips. I had the cucumber yoghurt and garlic, fish roe and eggplant dip, with crusty fresh bread baked on the premises - it's the only way to go. Accompanied with Stonefish Savignon Blanc (recommended by George), I knew this would be a memorable lunch! Next on the banquet was the Saganaki, grilled Dodoni kefalograviera cheese. This is one of the most popular appetisers, fried and eaten hot while it's still soft is a real treat! Remember, it's about tasting, sharing, taking your time, sampling different dishes in small quantities and enjoying the company you're dining with. Next up the Kolokithokeftedes, zuccini, fetta and herb fritters with tzatziki sauce on the side. You bite through a slightly crisp, brown outer coat and discover the meltingly soft, light yet sticky interior. Is there a dish that you would travel miles to eat? Well I'm telling you right now - the Chicken Cigars are unique to Mesa. I need to express just how much I felt like I had died and gone to heaven! Shredded chicken, mushroom and herbs, wrapped in filo and served with a mint yoghurt. Who would have thought such a creation would have people driving from the other side of Melbourne just to try them? George has a 'stellar' reputation when it comes to introducing new and exciting dishes. The Feta Pasteli - sesame coated Dodoni feta panfried and drizzled with honey is absolutely scrumptious! The blending of the honey and feta just melts in your mouth. Greeks follow a Mediterranean diet consisting of vegetables, protein and olive oil. The Smyrneika soutzoukakia, better known as baked beef rissoles, exuded a spicy aroma, with fresh tomato salsa bringing out the delectable flavours. The beetroot and feta salad was extremely appetizing, like a match made in heaven. Who would think these two ingredients would blend so well together. The beetroot is marinated in garlic, vinegar, olive oil, salt, pepper, seasoning and topped with crumbled feta. The olive oil used in the dishes is especially selected by George for taste, texture and flavour. Greeks include a lot of seafood in their diet, and the chargrilled King prawns and calamari were fresh and cooked to perfection. When it comes to the perfect Greek salad there's no bigger critic than myself. Greek salad should never have any lettuce in it, and selecting the tastiest tomatoes is a must. It's about the flavour of tomatoes mixing in with olive oil, feta, olives and herbs. With lettuce it's a completely different salad. If served a Greek salad with lettuce (and many times I have), I've sent it back to the kitchen asking for it to be removed! The tomatoes used in this Greek salad were very tasty, considering it's not the season for tomatoes. I couldn't wait to dip the home-made bread into the dressing, the flavours sending my taste-buds racing! There's never enough food when it comes to Greek culture. Next dish, chargrilled chicken skewers, lamb cutlets and gyros. The gyros is marinated overnight with tomato, fresh herbs, onion, secret spices and then cooked on a charcoal spit the following day. It's not ready made yiros with preservatives and additives used by many restaurants these days to cut down on preparation time. Greek food is served best when it's cooked and prepared the same way it has been for centuries - from scratch. No doubt Mesa has this down pact. Greek sweets and desserts are a banquet of their own. There's so many to choose from - the most popular Baklava a classic Greek pastry made from flaky Filo pastry, layered with a cinnamon-spiced nut filling, and bathed in sweet syrup. It's crunchy, sweet and very decadent. The dish is familiar and popular with diners, and many Greek families have passed down recipes from generation to generation. The other dessert I tried was the Galaktobureko made with semolina custard in Filo, coated with a clear, sweet syrup. Finally the Greek coffee, a strong brew served with foam on top and the grounds in the bottom of the cup. This foam is called kaïmaki (καϊμάκι, pronounced kaee-MAH-kee) and the richer the foam, the better Greeks like it. The coffee believe it or not is actually made from Turkish coffee, but the Greeks call it Greek coffee. They changed the name in response to the Turkish Invasion of Cyprus in 1974, however the coffee is the same, just with a different name. 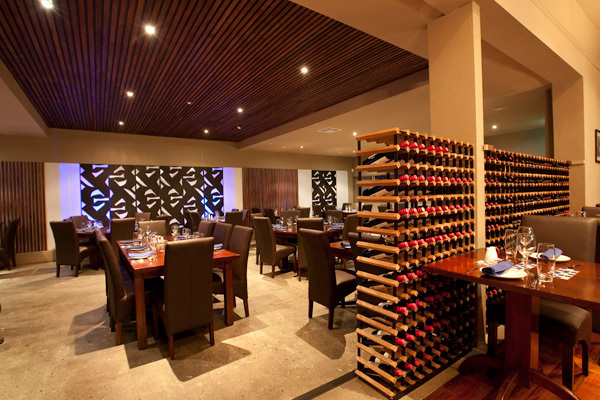 The restaurant can also be booked for functions. It can fit up to 130 guests, and upstairs two beautifully appointed private dining rooms can cater for up to 40 guests. 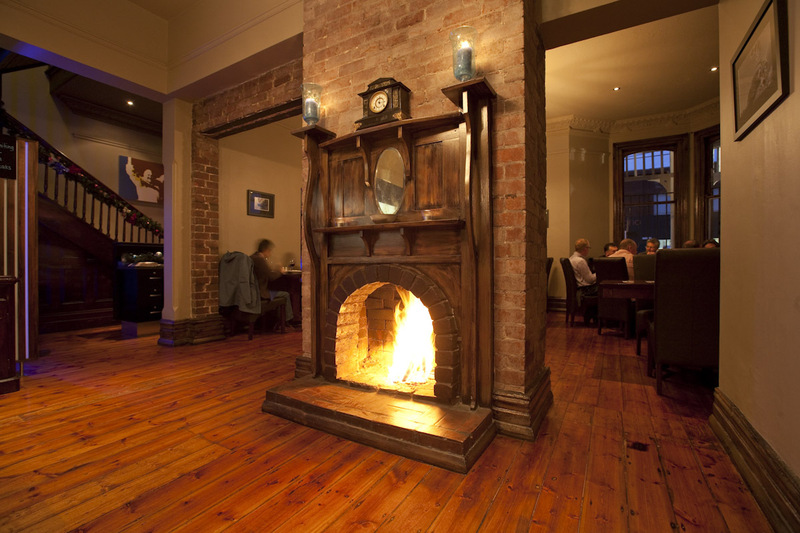 Another option available to those wanting a more cosier feel, with an open fireplace and bar area you can meet beforehand for a pre dinner drink. 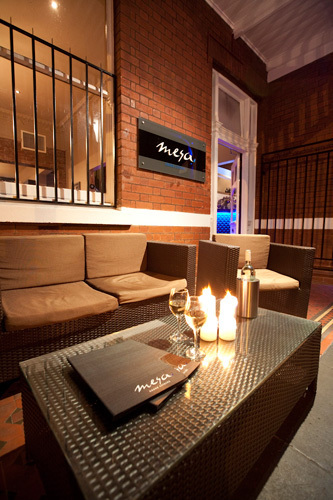 The outside area has an ambient romantic feel, perfect during the summer months, and for those who want to have a few quiet drinks after dinner. A more open dining area, with a fireplace. With so many options to choose from, you can pick the perfect position to relax and enjoy. The entrance has a striking staircase which leads up to the upstairs private dining areas. 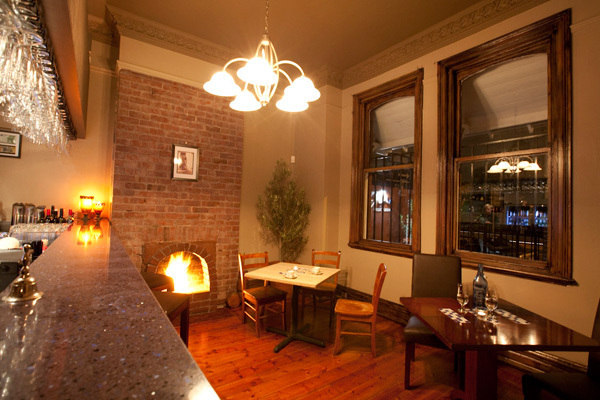 To be one of Melbourne's hottest dining spots you need to serve excellent food, have great atmosphere and pleasant surroundings. This by far gets a tick for all three. If you fancy an affair with Greece there's no doubt you'll feel the chef's passion for Greek food in the variety of creative dishes. It's the way Greek food should be served, recipes and secrets passed down from generation to generation. Greek cuisine has never looked so appealing. Sounds scrumptious. Bookings for One (1) OK? Which tram gets me there, or train, please?